Abe Trone, DVM, grew up on a small farm in West Central Illinois and graduated from the University of Illinois in 2003. He started at the Lena Veterinary Clinic in 2003 and works primarily with dairy cattle, horses and small ruminants. He utilizes ultrasound in all species primarily for pregnancy diagnosis and implementation of reproductive programs. Equine services he specializes in are reproduction, dentistry, foal care and lameness work. Herd health with ultrasound, fetal sexing and troubleshooting herd issues, are areas of interest in dairy. His wife, Peggy, is the Education Coordinator at the Stephenson County Farm Bureau. They have five children Owen, Evan, Merrick, Grace, and Faith. His hobbies include camping, hunting, fishing, and any other outdoor activities with the kids. Cary Schroeder, DVM, is from Lost Nation, Iowa and graduated from Iowa State University College of Veterinary Medicine in 1984. He started at the Lena Veterinary Clinic in January of 1991. 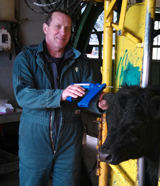 Dr. Schroeder’s current emphasis is bovine medicine, reproduction, and embryo transfer. Cary is married to Sarah and together they have three children and two grandsons. His hobbies include golfing, hunting, and coaching baseball. Russ Weston, DVM, grew up on a small farm in Northeast Iowa. He attended Starmont High School and received his DVM from Iowa State University in 1973. After practicing in Edgerton, Wisconsin, Russ and his wife, Helen, moved to Lena in 1974. Dr. Weston’s primary interests are bovine reproduction, including ultrasound and fetal sexing, and milk quality. Russ particularly enjoys the privilege of great personal friendships with many farm families and colleague veterinarians. Helen and Russ have been blessed with five children who with their spouses, have brought them fifteen grandchildren. His personal interests include golf, worship and activities at St. Joseph’s Catholic Church in Lena, and time spent in any activity with his family. Ken Fiedler, DVM, grew up in the Scales Mound/ Galena area on a small dairy farm and ever since he could remember he wanted to be a veterinarian. He graduated from the College of Veterinary Medicine at the University of Illinois in 1983. At the Lena Veterinary Clinic, Dr. Fiedler specializes in the companion animal area of the practice, that involves mainly working with dogs and cats, but also includes other animals such as rabbits, guinea pigs, and some avian. He enjoys small animal medicine and surgery, especially soft tissue surgery. Ken is married to Diane, who is a pharmacist at the Lena Drug Store. Together they have four children - Ava, Grant, Will, and Dorthea. They have two dogs - Bella & Cooper. They also have two cats, Socks, the midnight sock snatcher; and Slugger, the fat cat. His hobbies mainly include keeping up with his kids’ activities, including volleyball, soccer, wrestling, and dance. He also enjoys gardening, working around his home, and occasionally traveling. Jim Moest, DVM, grew up on a farm in Stephenson County and graduated from Freeport High School in 1983. He attended the University of Illinois after high school, graduating from the University Of Illinois College Of Veterinary Medicine in 1990. After graduation from veterinary school, Dr. Moest practiced for two years at Western Illinois Veterinary Clinic in Quincy, Illinois. In August of 1992, he joined the staff at the Lena Veterinary Clinic where he has practiced for the last twenty years. He enjoys all aspects of veterinary medicine, with the large majority of his career devoted to food animal practice. 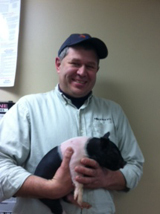 Within our food animal practice, Dr. Moest focuses on assisting our swine producers in remaining competitive. Jim has been married to his wife, Jolene, for 20+ years. He and Jolene have four children, Elizabeth, Jacob, Nicole, and Jacquelyn. Jolene set aside her teaching career to take care of their children, but has recently reentered the profession as a substitute teacher in the Pearl City and Le-Win school districts. 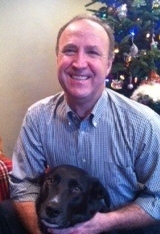 Dave Bergemann, DVM, was born and raised in Freeport, Illinois. He graduated from Freeport High School in 1977 and received his Associate of Science from Highland Community College in 1979. Dr. Bergemann attended the University Of Illinois College Of Veterinary Medicine and graduated in 1983 with a DVM degree. He began practice at the Freeport Animal Hospital in 1983 and practiced mixed animal practice there until 1986. 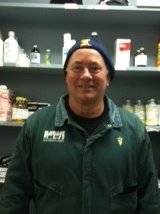 In May of 1986, he took a position at the Lena Veterinary Clinic and continues to practice here with enjoyment. Dr. Bergemann presently focuses primarily on food animals with a dairy emphasis. Dave married his wife, June, in 1981 and they have four children: Nicholas, Sarah (Goeke), Timothy, and Michael. They also have four grandchildren: Cohen, Kadyn, Eliana, and Jaxsen Goeke. Dave enjoys playing golf, both traditional and disc. He also enjoys spending time with his grandchildren. Dave has been active in the community with the Jaycees, residential housing development, and was the founder and operator of the Lena Haunted Barn for twenty years. 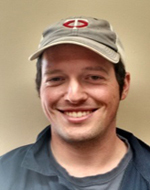 Josh Hillesheim, DVM, grew up in New Ulm, MN and graduated from Iowa State University College of Veterinary Medicine in 2015. Through high school and college, he became more immersed in dairy and swine medicine. He enjoys working with all species and his areas of interest include analyzing a given situation in relation to herd health and milk quality. In his free time he enjoys road biking, fishing, canoeing, and following Minnesota sports. Brandon Scharping, DVM, grew up in Bangor, WI, graduating from Bangor High School in 2010. While growing up he showed and judged dairy cattle through 4-H and FFA. Dr. Scharping earned a Bachelor’s Degree in Dairy Science at the University of Wisconsin-River Falls, and attended the University of Wisconsin-Madison School of Veterinary Medicine. Throughout veterinary school he worked as an artificial insemination technician, and gained interest in cattle reproduction. Dr. Scharping enjoys dairy production medicine, and likes to help dairy producers remain profitable and progressive. His hobbies include camping, fishing, running, attending country music concerts, and cheering for the Green Bay Packers and Wisconsin Badger Athletics. 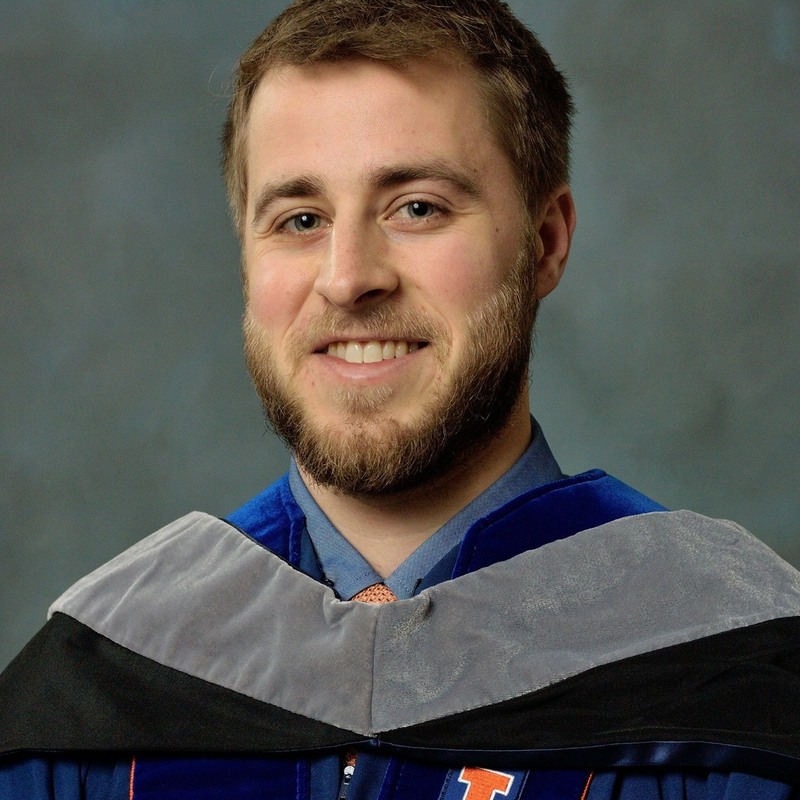 Alec Frits, DVM, graduated from the University of Illinois in 2018 and started practicing at the Lena Vet Clinic in March 2019. His professional interests includes a variety of mixed animal medicine - from small animal soft tissue surgery and primary care medicine to pregnancy checking cows and managing herd health. He particularly enjoys this variety and spending each day doing something new and different! Dr. Alec graduated from Lena High School in 2009 and is excited to be back in the area with family and friends. Some of Dr. Frits' other interests include fishing, hiking, hunting, skiing, running and attending sporting events. He is an advocate for the Chicago Cubs, Bears & Blackhawks! Alison Smith, CVT, grew up on a farm in the Mt. Morris area. She graduated from Joliet Junior College in 2005 as a Certified Veterinary Technician. 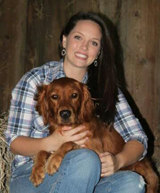 Alison joined our practice in 2005 and is primarily the large animal veterinary technician. Alison is married to Albert and together they live in Leaf River on a farm with their daughter Alana, son Allan, two dogs, cows, and horses. Vicki Schamberger grew up in the Pearl City area and studied accounting at Highland Community College. 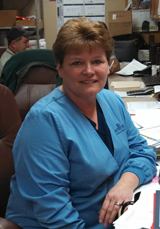 She started at the Lena Veterinary Clinic in October of 2002 and is our inventory manager. She lives in rural Lena with her husband Randy. Vicki enjoys antiquing, reading, gardening, knitting, and most of all, spending time with her grandchildren. She has four lovely cats. 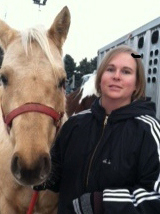 Misti Schweertman started working at the Lena Vet Clinic in October 2011. She is our office manager and large animal receptionist, but also enjoys assisting with small animal patients when needed. Misti grew up in the Freeport area and graduated from Highland Community College with her Associates in 2010 and received her Bachelor’s degree in Human Services from Columbia College in 2013. She and her husband live in Forreston with their two dogs and together they raise and show sheep. Some of her other hobbies include traveling, reading, and hiking with the dogs. Kim Mehringer went to school in Naperville and moved to the area in 2003. She started at the Lena Veterinary Clinic in August of 2012 and has been bringing her animals here for the past 22 years. She is an animal lover and has dogs, horses, and a cat. Her hobbies included ballroom dancing with her husband, horseback riding, skiing and hiking with her dogs. Kelsey Bernet, CVT, grew up on a farm in Monticello, WI. 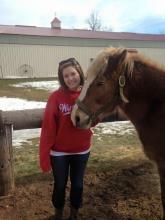 She became a Certified Veterinary Technician at Globe University - Madison West in October of 2012. 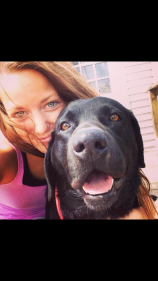 Kelsey now resides in Cedarville, IL with her fiance Lance and her Rottie "Dez". She joined the Lena Veterinary Clinic in May of 2013. She works with both large and small animals at our practice. She enjoys walking her dog, cooking, watching sports, boating, and gardening. Courtney Miller, CVT, graduated from Freeport High School in 2010. She grew up in Freeport and became a Certified Veterinary Technician at Globe University-Madison West in June of 2016. Courtney now resides in Lena with her husband, three children, two cats, and two dogs. Her hobbies include doing fun activities with her children, traveling, spending quality time with friends/family, and having date nights with her husband. 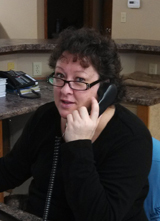 Colleen Kappes is our small animal receptionist. She has been working at the Lena Veterinary Clinic since August of 2003. Her job duties include answering phones, scheduling appointments and surgeries, and ordering small animal inventory items. She is originally from Freeport but now lives in Stockton. Colleen loves working with all animals, but is a cat person. She has two children and four cats. 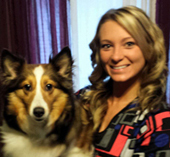 Emily Korf, CVT, graduated from Forreston High School in 2012. She became a Certified Veterinary Technician at Rockford Career College in March of 2017. Emily lives in Freeport with her beloved dog named Berkeley. 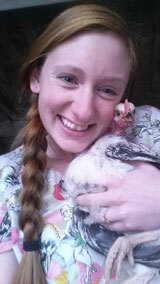 She enjoys working with both large and small animals at our practice. Emily enjoys taking her dogs for walks and traveling. Jamie Holman fills many roles at the clinic, specifically working in the milk lab, covering both large and small animal phones, and working as a veterinary assistant. Jamie grew up on a dairy farm, just outside of Davis, Illinois. She and her husband now live on a small farm in the Freeport area and have 2 children, Jalen and Grant. Prior to joining our clinic, she worked in the banking industry for several years, then became a stay-at-home mom. Her hobbies are attending Grant’s sporting events, watching her daughter show dairy goats, baking apple pies with her mother, horseback riding, kayaking, and boating. Jessanna Darin, CVT, started at the Lena Vet Clinic in December of 2016 after graduating from Rockford Career College. Jessanna is originally from Rockton, but now lives in Durand with her husband, Nathan. Like many of our staff members, Jessanna has several roles at the clinic including assisting with small animal appointments and surgery, large animal chute work, and working in our milk quality lab. Jessanna was previously a CBRN Sargent in the Army National Guard for 6 years. She and Nathan have many pets including 2 dogs (Stella and Rosie), 1 cat (Whisker Biscuit), 1 goose (Uncle Waldo), and several chickens. Her hobbies include art, carving, and spending time with her many animals.